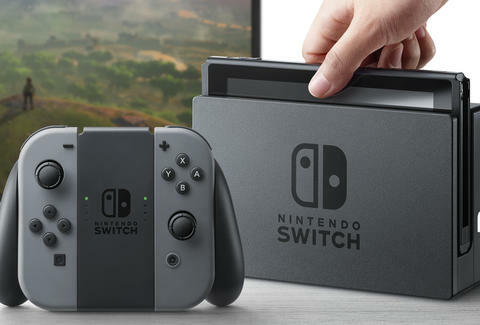 Although Nintendo isn't expected to share details on pricing, availability, and game titles for its highly anticipated Nintendo Switch console until a presentation on Thursday night, it looks like the company is already allowing players to pre-order one ahead of the system's launch in March. Unfortunately, there's kind of a big catch. On Wednesday, Nintendo's retail store in NYC announced via Twitter that it plans to offer a "limited quantity" of pre-orders for the Nintendo Switch, starting on Friday, January 13th at 9am, but only while supplies last. In other words, you'll have to line up at the physical store located in Rockefeller Center if you want to try to secure one. If making only a "limited quantity" of pre-orders available seems strange to you, you're definitely not alone. Several people have replied to the announcement on Twitter questioning whether the pre-orders actually reserve stock of the consoles and if Nintendo is simply trying to inflate hype and demand for the new console with the strange tactic. Hopefully, getting your hands on one will be easier than trying to find an NES Classic Edition, which is still widely sold out more than two months after it launched. We reached out to a Nintendo spokesperson for more information. Nintendo said it will finally announce important details about the Switch during a presentation on Thursday night, including pricing, availability, and a look at the games currently in development for the console. The presentation will be available to watch via the official Nintendo Switch website, starting at 11pm ET. In the meantime, you might just want to start lining up outside the NYC store now. Tony Merevick is Cities News Editor at Thrillist and wonders if the Switch will be as hard to find as the NES Classic Edition is. Send news tips to news@thrillist.com and follow him on Twitter @tonymerevick.